Life has a way of piling up on you... and as an acupuncturist, so do those patient forms! How many filing cabinets will you buy to store all your patients' signatures? And let's be honest, how many times have you sat around on a Saturday night with nothing to do and said to yourself, "Let's look at all my patients' beautiful signatures!" ZERO. 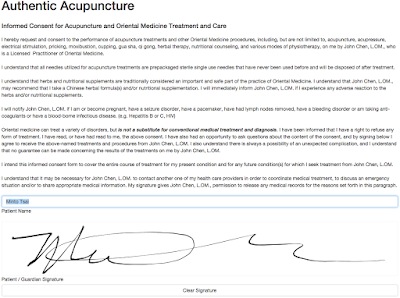 Sure, some of your patients' signatures are beautiful, almost like an artist painting on canvas. But let's be honest, many (including my own) just look like chicken scratch. 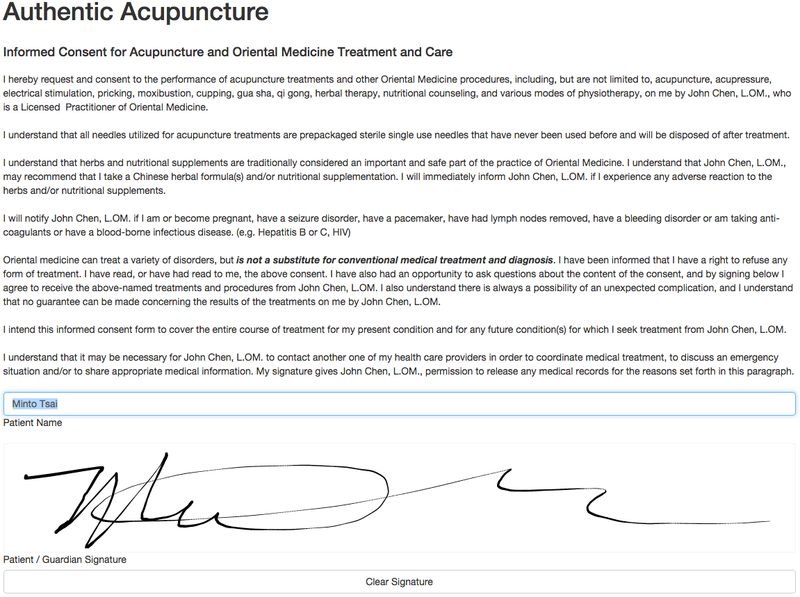 Below is an example of a signed Informed Consent. The title and the text is customizable so you can reuse the wording from your existing forms. 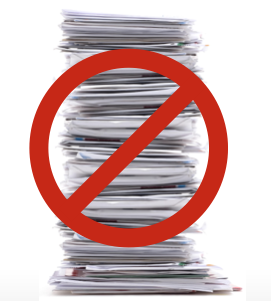 I'm very excited about this new feature and seeing you move to a paperless office!